Melanie Muncaster is the Executive Director of the Northern Ontario Heritage Fund Corporation (NOHFC), an agency of the Ministry of Northern Development and Mines. The NOHFC was established in 1988 with a mandate to promote and stimulate economic development initiatives in Northern Ontario by providing financial assistance to projects that stabilize, diversify and foster the economic growth and diversification of the region. Melanie joined the Ontario Public Service (OPS) in 2004 and had held various positions at the ministry and the NOHFC, most notably the NOHFC finance manager, NOHFC program manager, and Assistant Director prior to her appointment to the Executive Director post in March of 2018. She has extensive experience in the economic development field at the municipal and provincial level and was the lead architect of the current NOHFC program offerings for both the private and public sectors. 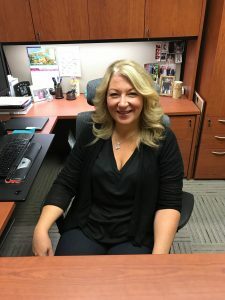 Prior to joining the OPS, Melanie held roles in the financial services sector, particularly in commercial lending, as well as the energy and utilities sector. Melanie holds a Bachelor of Business Administration, with a concentration in Economics. She is a native of Sault Ste. Marie, ON and is a very proud mother of two adult daughters, Tiffany and Alanna.